If the indoor air quality of your home is a concern, you may want to consider adding an air purifier. Not just any “purifier” though. There are plenty of low-cost devices that carry the name. But those are mostly light-duty air filters that are basically disposable devices. The AirMega 400S, on the other hand, could serve you and your family for years and it makes quality air purification easier than ever. Being able to breathe cleaner air consistently requires a well-engineered air purification system like the AirMega 400S. It’s a smart device (iOS, Android, and Alexa compatible) that’s WiFi-enabled, so you can easily manage from any location. The AirMega is a stylish, white-colored box that’s set on solid black legs. Overall, it measures 14.8 inches wide x 14.8 inches deep x 22.8 inches high. It’s also something that’s built to last. Instead of replacing the device after a few months (as you’ll inevitably need to do with a cheap version), you simply wash out or change the replaceable filters as needed. It comes equipped with four filters: two pre-filters that are washable, an activated carbon filter, and a green true HEPA filter. All 4 filters are engaged whenever the machine is in operation to relentlessly remove hidden pollutants from your indoor air. The AirMega is capable of purifying 1560 square feet of open space in three different modes — Auto, Eco, and Sleep. It can also be adjusted manually, should you prefer that option. In auto mode, the AirMega 400S automatically adjusts the speed of the fans inside, according to your room’s current air-quality. This can be done on any Smartphone, Tablet, or Amazon Echo. Set on Eco Mode, the quality of the air is constantly monitored. When the indoor air meets a “good” quality standard for 10 minutes straight, the AirMega fans shut down to conserve energy. 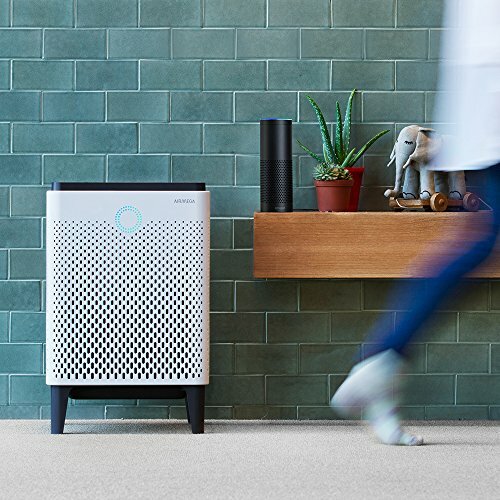 Should the sensor detect the air quality worsening at any point in time, the fans automatically restart to ramp up the purification process again. In Sleep Mode, the AirMega 400S built-in sensor detects when it becomes dark and it automatically adjusts the fan speed to run quieter. Monitoring the quality of your indoor air has never been easier with the AirMega App. The app turns your smartphone into a “smart” remote control that gives you access to all the AirMega’s controls. But, it actually does much more. You can monitor the indoor air and outdoor air quality at any time from anywhere. You can check the status of the air filters inside the 400S and receive alerts when filters need changing. It’s also possible to set up an automated timer to turn the device on or off. Plus, the AirMega App maintains all of your information for up to a year, so you can review your home’s air quality history at the touch of a button. The AirMega 400S comes with a five-year manufacturer’s warranty and runs on the standard 110 volts – so you can plug it in anywhere you have an outlet. Its stylish design means that it can fit aesthetically into virtually any room. You can even have it up close to a wall – as long as there’s at least 12 inches of space on either side where the air intake occurs. Set up is quick and painless. Be sure to follow the checklist and any guidelines provided by the manufacturer, in case things change. But at this point, all you have to do is unbox your 400S and open the two side covers. Remove the two pre-filters and both Max2 filters as well. Discard any plastic wrapping and place the filters back inside the device. Then put the side panels back in place. Next, find a location in the room to place your AirMega 400S and plug it in. Check the strength of your WiFi signal near your chosen location. Download the AirMega App to your device of choice and pair your smartphone, tablet, or Echo to your AirMega. As with any “pairing” exercise, it doesn’t always go right the first time. So you may have to give it another shot. No biggie. Once it’s working – you’re going to love the control you have at your command. Although the AirMega 400S arrives with multiple individual filters, these do not include “spare parts” to be used at a later date. All four filters provided are used simultaneously. The result is cleaner indoor air in less time. The two washable pre-filters trap larger pieces floating through the air such as pet hair, particles of dirt and dust that seems to be everywhere. 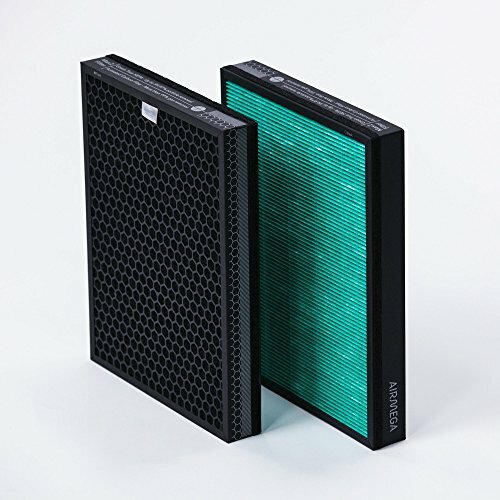 The activated carbon filter is said to remove up to 99% of the VOCs (volatile organic compounds) and irritating odors such as cigarette or pipe smoke and cleaning supplies. The green filter is capable of removing impurities as little as 0.3 microns in size. This means that it is capable of removing 99.97% of impossible to see, fine dust particles, dangerous mold spores, and troublesome allergens. The fine filtration capability of the AirMega 400S is notable in that it’s even finer than several of its more expensive competitors. Like other quality air purifiers, the AirMega draws air in from the sides and then pushes out clean, filtered air through the top of the machine. But it does so on both sides of the device – a feat that is quite rare – and therefore, tends to purify your indoor air more efficiently. The result is fresher, cleaner, more breathable air – much faster. As with any quality air purification system, all filters will need to be changed from time to time. To expand their life, pre-filters can be vacuumed and washed occasionally. It’s important to keep your pre-filters clean because they act as the first line of defense. They also serve to protect the more expensive filters inside. Proper care of your air purifier ensures healthier air and lower costs in maintaining it. The filter lifespan indicator will let you know when it’s actually time to change the filters. But unlike other purifiers, this device measures lifespan based on actual usage and not merely the passage of time. Keep your replaceable HEPA filters fresh to ensure your AirMega is operating optimally. On average, you should figure on switching out the HEPA and carbon filters about once a year at a cost of about $120. Again, that’s just a guideline. If your home remains clean and you don’t need to use your AirMega every day, you will be able to go longer between filter changes and that means better overall value. All air purification systems make some noise – as does any device with a motor inside. 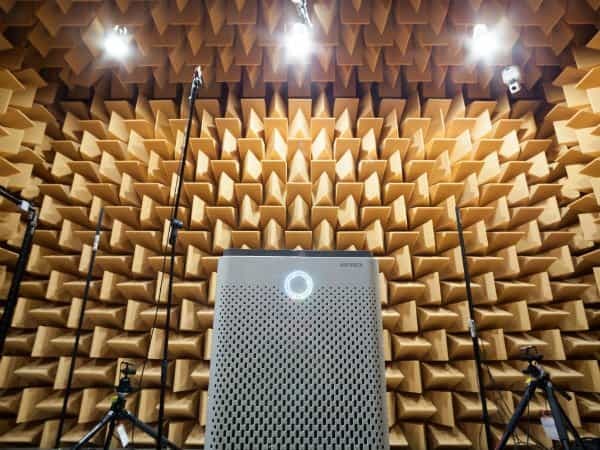 In the case of air purifiers, noise is generated not just from the motor but from the movement of air it pushes through. But noise levels are largely subjective. What seems noisy to one person is relatively quiet to another. 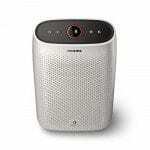 You can see this in the reviews of virtually every brand of air purifier on the market – including the AirMega. No matter how quietly it runs – somebody will eventually come along and slam the brand citing its loud noise levels. I guess it goes with the territory. Compared to other quality brands, I found that the AirMega 400S air purifier seems significantly quieter than others in its class. This may be due in part to the larger air vents through which the clean air is driven out of the machine. Or it could be a result of clever engineering and better quality parts. Who can say with any certainty? The AirMega 400S is a beautiful piece of equipment that can easily blend into any room – and look like it belongs there. Its aesthetic design is only outperformed by the brilliant engineering built-in. The result is a highly-effective way of purifying your home’s indoor air efficiently. It’s “smart” compatibility really makes the AirMega a standout. 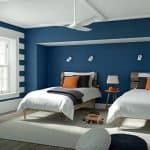 Being able to control the device remotely means you can make simple adjustments like lowering fan speed, without waking a sleeping child or asthmatic adult. You can also use your phone to have the device clean your home’s air before you arrive. In our analysis, we found it to be very quiet at the lowest setting and relatively quiet mid-range. It sounds somewhat like a regular fan on the higher settings. It’s not silent – no air purifier is. But it’s not offensively loud either. It is expensive. That may be true if you compare it to those cheap light-duty models that are unreliable, ineffective and don’t last. A quality air purifier costs money. But it’s an investment in your family’s long-term health and wellness. All the best-rated brands of air purifiers cost a minimum of $400 and some cost more than double that price. The touchscreen on the air purifier itself can seem a little overly-sensitive. At least until you get used to it. Of course, it’s not much of an issue if you’re using another device to operate your AirMega 400S. But some users prefer to use the built-in controls and would likely prefer buttons or switches instead of a touchscreen. It appears that the AirMega App has had some glitches. This seems to be more of past issue than a current one. The latest update for the AirMega App seems to have corrected the most common problems. As with all Apps, the user needs to update as frequently as new versions become available. If you experience problems, try removing the App and reinstalling it again. At times, these technological marvels fail us. More often than not, a simple reboot solves the problem. Overall, the AirMega 400s is an excellent air purification system with double the filtration capabilities of most of its competitors. It’s well-designed to fit with any decor and it’s rugged build quality means that it should last for years. If you’re looking for a top-quality air purifier and not an imitation – the AirMega 400S makes an excellent choice. It’s not inexpensive. But is there any more worthy investment than your health and wellbeing?